For over 20 years, PBexpress has provided third party logistics with one fundamental principle: to offer superior service at competitive pricing . Today this commitment to customer satisfaction continues. 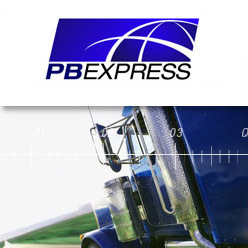 At PBexpress we believe in partnering with only the highest quality carriers. Every carrier in our network has undergone a diligent screening process. This process regulates insurance levels to guarantee that our customers' products are always protected. To maintain quality control our staff is constantly monitoring each and every shipment to insure that your product is delivered with your specified parameters. Our team of highly trained professionals offers a wide variety of services and technical support that one might find in a large transportation firm. At the same time, however, PBexpress is committed to providing the type of personal and attentive service that customers look for from a smaller, family-owned company.